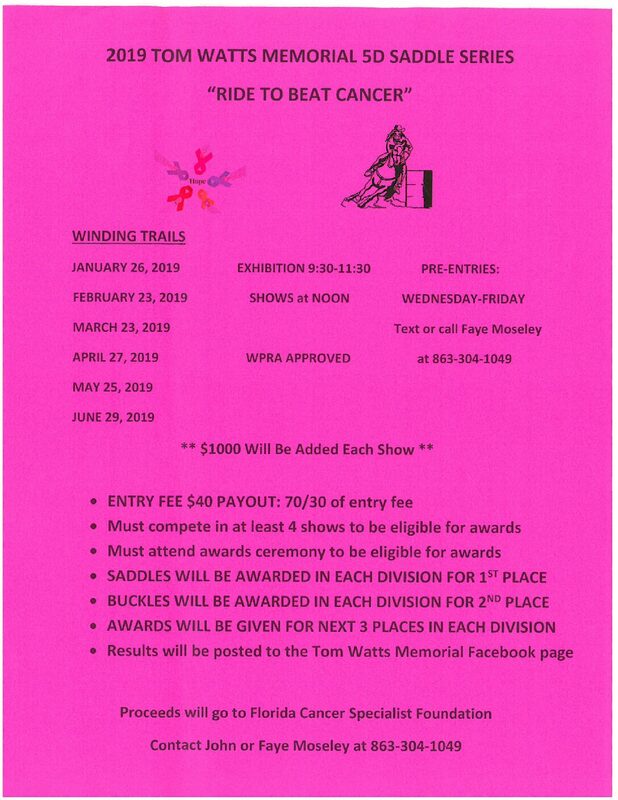 The Tom Watts Memorial 5D Saddle Series will be held on Saturday, April 27th, 2019 in Myakka City, Florida. This Myakka City rodeo is held at Winding Trails. The Tom Watts Memorial 5D Saddle Series "Ride to Beat Cancer" will be giving their proceeds to the Florida Cancer Specialist Foundation.